The moment you’ve been waiting for is HERE! 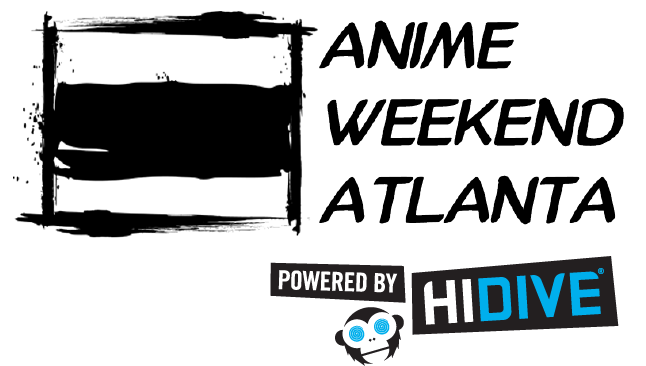 Special Rates for AWA have been finalized, the i’s have been dotted and the t’s have been crossed! You will be able to book your room on March 5th at 10am. BUT WAIT, THERE’S MORE! Since demand for the Waverly is always so high, we will be doing something a little different for that hotel. There will be two separate buttons when you visit the hotel page on the AWA website. One link will handle Waverly reservations only, and the other will handle booking for all of the other hotels. For those of you who plan on staying for the full weekend, a portion of the room block (120 rooms) will be opening a day early for people staying Thursday – Monday. 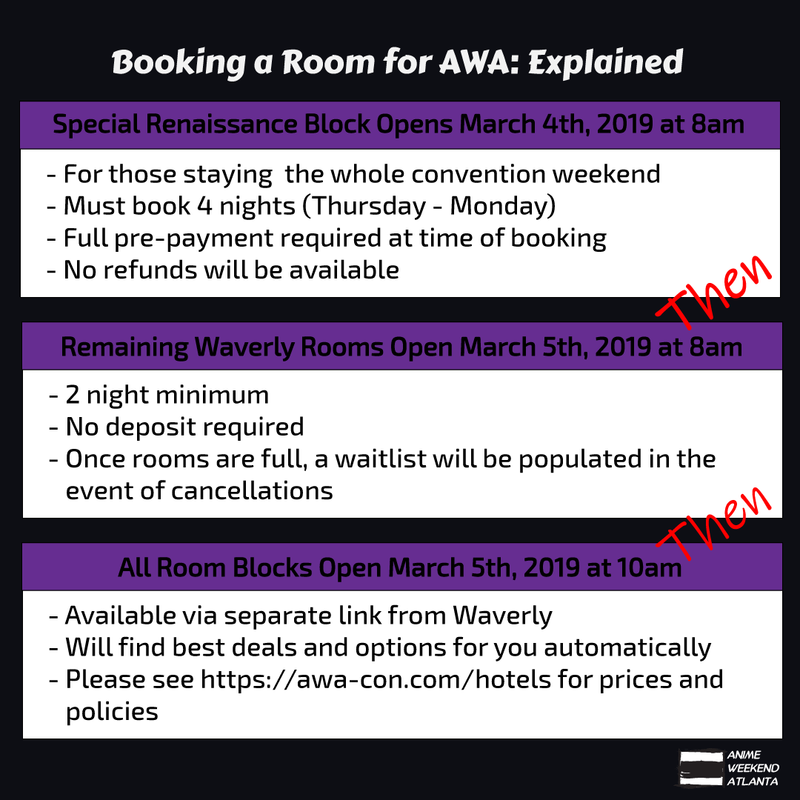 Starting at 8am on March 4th, you can reserve a 4 night stay at the Waverly during the AWA weekend. Due to the overall demand for the rooms, these reservations will need to be pre-paid in full upon booking and are non-refundable. The remaining rooms at the Waverly will be available for booking on the 5th at 8am (so you don’t have to choose which link you want to click first). If you are booking for the Waverly at that time, you must book a minimum of 2 nights, but no deposit is required at that time. 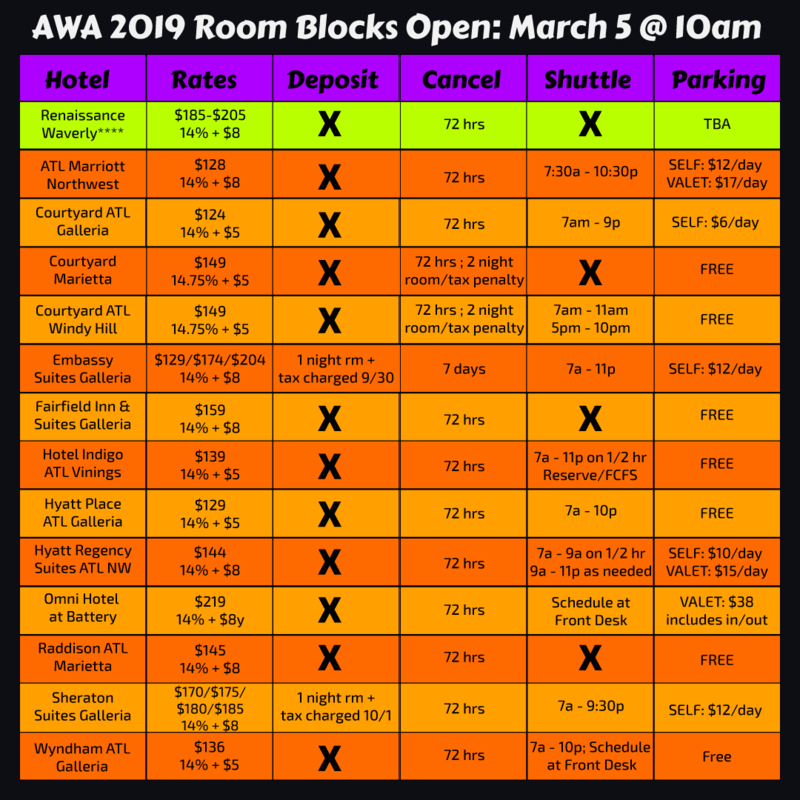 Attached to this post is a listing of the hotels offering special AWA rates, and includes their rates, cancellation deadlines, whether or not a deposit is required, and if/when a shuttle will be running to ferry you back and forth to to the convention center. Most hotels offer standard rates across all their rooms with the exceptions of the Embassy Suites ($129 for standard room with a king bed, $174 for a suite with king bed, and $204 for a suite with two queen beds), and the Sheraton Suites ($170 for singles, $175 for doubles, $180 for triples and $185 for quads). We will post more details on the links/system to book in the next couple weeks. For the latest AWA updates, please subscribe to our monthly newsletter!